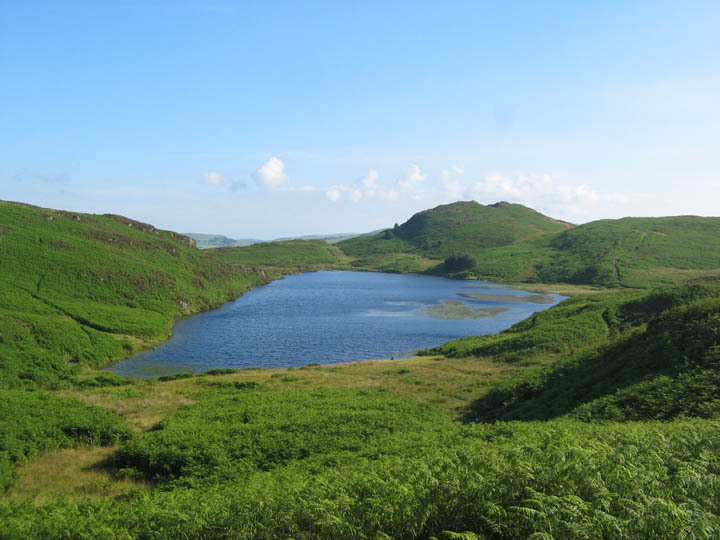 We regularly visit Beacon Tarn in the summer for a dip to cool off. I see it’s been included in the Wild Swims website so we are not the only ones! It’s a nice swim but do bear in mind the water is cold and it is a wild tarn, not a swimming pool, so you swim at your own risk. 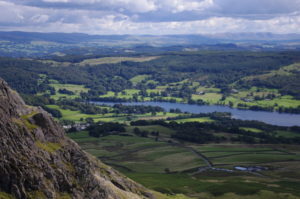 This walk is about 5 miles and takes in views of Coniston and Coniston Old Man. It’s easy enough with walking mainly through bracken on grass. Take a pack lunch and enjoy it next to the tarn. To get to Beacon Tarn you head towards Barrow on the A590 which you can get to via Grange Over Sands. As you are heading along the A590 towards Barrow you should look out for signs to Coniston at Greenodd (now a roundabout!). Taking the Coniston road towards Grazebeck and Foxfield you’ll be heading along the A5092. You’ll want to turn right on the A5084 towards Coniston, after two miles Brown Howe car park is on the left. It’s £2,80 for four hours or £4.50 for up to 12. Once you are parked up and done with that. Walk back to the road and cross over, turn left, after a short walk turn right up a narrow public road. After a short walk you should pass a sign for Blawith Common. Follow the road for just under a mile until it crosses a river and swings to the right, here a grassy footpath runs off through the bracken on the left hand side of the road, follow this until the footpath splits. Keep to the right between the bracken and marsh area to the right. As the footpath swings left into a valley running along the left side of the valley, going past a tarn then gently climbs to a narrow gap, walk through this and Beacon Tarn should now be visible below you. Continue down towards the tarn and follow the footpath on its right side. Double back along the other side of the tarn and locate the footpath that climbs to Beacon Fell. Follow the footpath to the top of the hill through grass and bracken. When you reach the summit excellent views of Coniston Water and Peel Island can be seen from here. Carry on past the summit and follow the clear footpath down the hill. As you reach a flat bracken covered area the footpath splits, keep left dropping down to a marsh area surrounding a river, then splits again, go left again. Dropping down, cross the beck and follow the footpath ahead. The footpath crosses a larger river and continues to head towards Stable Harvey, dropping down the slope to join the original footpath. Turn right to return to the start of this walk. 3 hours walk. Maybe 4 if you have a dip!